This is about as simple as it gets. 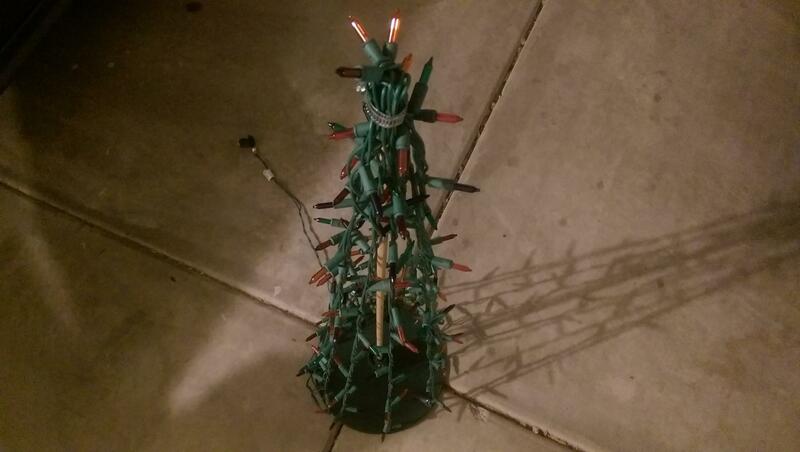 You'll need 1/4" wooden dowels at about 3' long and a plastic roll that string lights come on from the store, that breaks apart into 2 pieces. 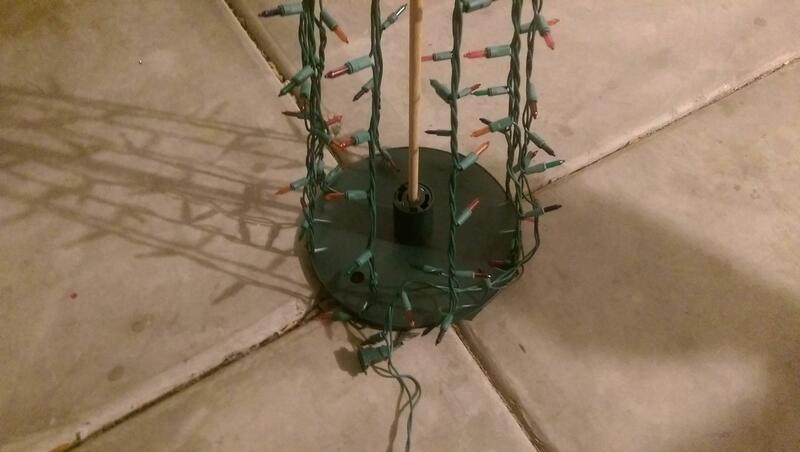 If you buy strings lights from the store in bulk they usually come on this plastic holder. The dowel slides tightly into one half of the roll, then tin snips are used to cut slits into the outer round edges to hook the lights into it. 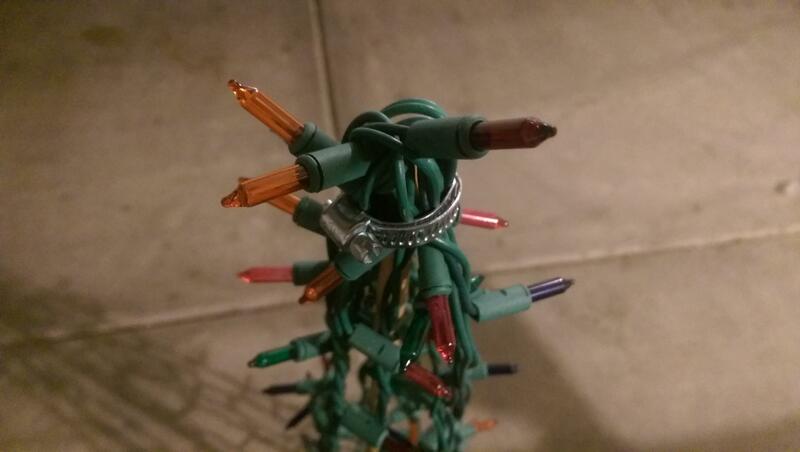 Only one string of Christmas lights is used per tree. At the top, a slit is cut in the wooden dowel with a saw to hold the light wires and then a clamp is lightly put around the lights to make sure they don't go anywhere. 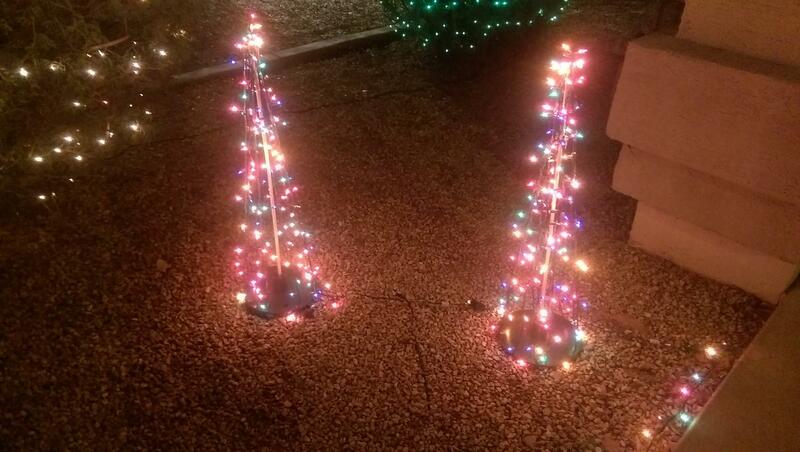 The end result is a pair of pretty simple light trees that look pretty good. Stake down as necessary.